Hey guys! Today I am excited to say I am back with the Digit-al Dozen! Last month due to being very sick I couldn't join in, but I was determined to get back in this month whether I was 100% up to it or not. This months theme is Whimsy. To me, Whimsical means things that are mythical and cute ect. So for day one I decided on a Mermaid. 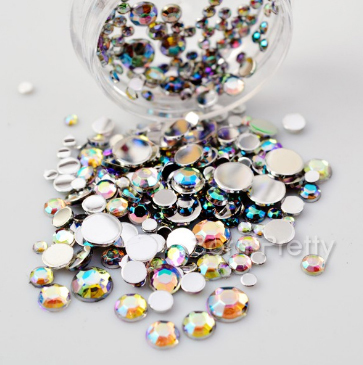 I also used these beautiful multi colored gems from The Born Pretty Store to create a gorgeous accent nail. I loved how the set comes with numerous sizes which was perfect for what I needed for this look. These applied very well and even lasted almost 24 hours before I lost the large one. You can get this 130 piece set for only $1.59. Use my code "CDBB10" for 10% off your Born Pretty Order! Now onto the mani! I received my new Pipedream Polish creams and just had to combine the 2 colors I loved the most and figured they would go perfectly with this theme. What do you guys think? 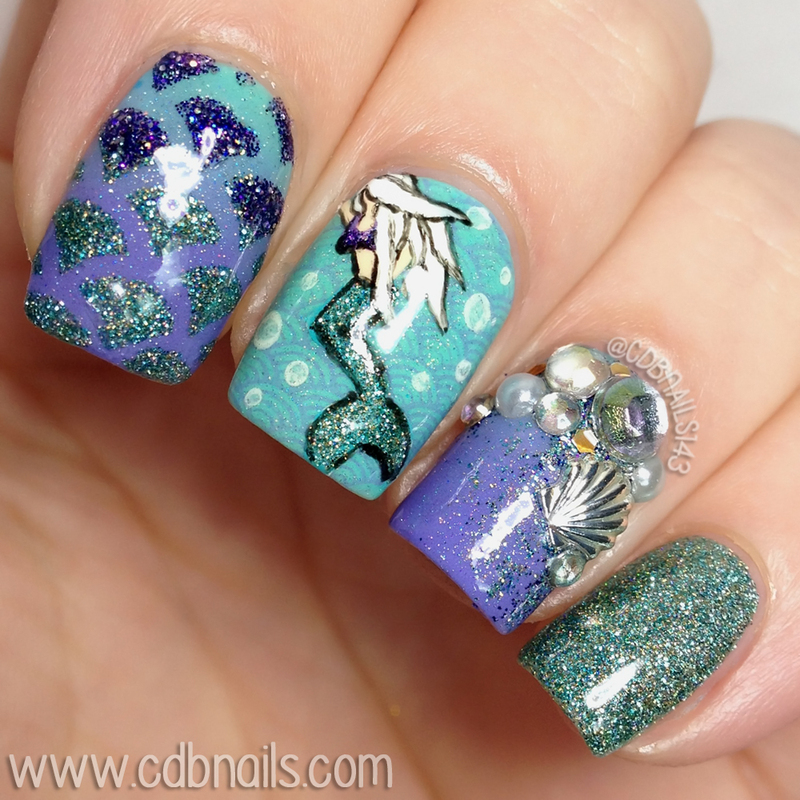 I feel like there is a lot going on in this mani but I like it! 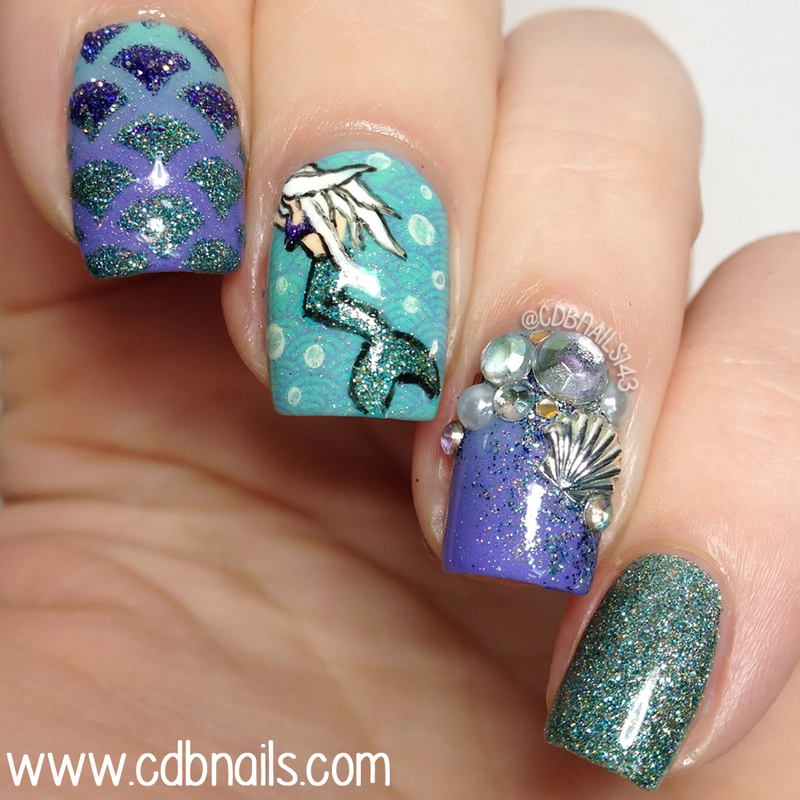 I used vinyls, stamping, studs as well as free hand painted the mermaid. It's been over a month since I spent so long doing an art mani due to being sick so it felt good to create this. I love it, it's so pretty!!! Wow, this looks amazing! Love it! Oh man, these are so cool! This look is absolutely perfect, I don't even know what to say haha!